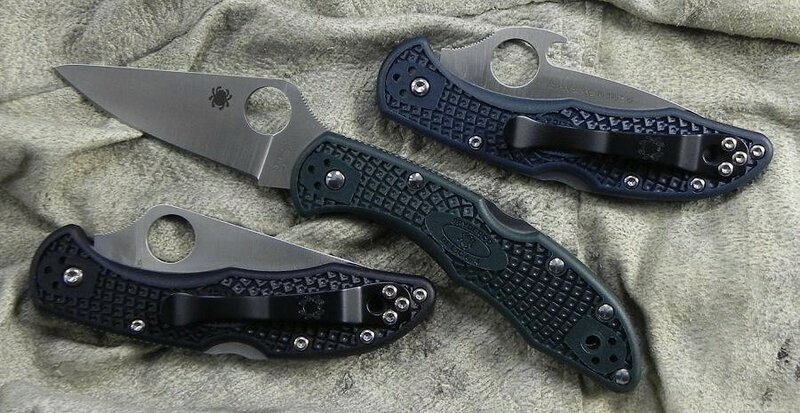 In 1990 Spyderco shook things up by introducing two knives, the Delica and Endura. First of their kind on the market, both folders opened up the knife market to lightweight performance, one-hand open pocketknives that just about everyone could afford. They settled as Spyderco's top two bestsellers and their improvement hasn't slowed since. Refinement has been so ongoing and continual Spyderco tagged the updating/upgrading process with the term CQI- Constant Quality Improvement. During the Endura and Delica's CQI journey Spyderco tweaked ergonomics, refined blade steels and fine-tuned their performance countless times. They are an evolutionary work in progress and the next level is here with the new Endura4 and Delica4. Both models now have screw construction making cleaning and adjusting easier. The fiberglass reinforced nylon handles come molded with Bi-Directional Texturing for preferred traction and improved ergonomics. Inside the handle dual skeletonized stainless steel liners make the knife stronger without adding weight and make an anchor for all external and internal components to attach through adding sturdiness and rigidity. Their VG-10 blades are flat saber-ground with a stronger tip and larger 13mm opening hole. Added to the blade's spine is slip resistant jimping. Phosphor bronze bushings smooth out the open/close action and the clip is upgraded to a four-way tip-up, tip-down, left- or right-handed clip.